Zhangye Prefecture has a continental climate with the average sunlight of over 3000 hours annually. Temperatures are the lowest and days and nights coldest in January, the hottest days of the year usually fall in July. The comfortable months for travel are from June to September, which is the Tourist High Season. Days may remain sunny throughout November counting chilly nights, nippy mornings and warm afternoons. Average Temperature in Zhangye: 7 Degrees Celcius annually. Temperatures may range between Minus 20 Degrees Celcius and near + 40 Degrees in July. Rainfall: Annual rainfalls are low with an average rainfall of 129 mm (Range: 104 millimeters-459 millimeters (4 inches-18 inches)) per year. Local agriculture and life depends on the waters of the HeiHe or Hei River, the Shandan River and local aquifers which derive their waters from the melting waters of Gletsjers on top of the Qilian Mountains. Although water flows easily from fossets inside the luxury hotel rooms of today's tourists who drop into town, the outlying villages of Zhangye Prefecture have only resently been supplied with clean and fresh water. The struggle is however ongoing. Lately, rainfall at Zhangye, inside the Hexi Corridor and in the wider regions of North and Western China have been decreasing. The last 3 years have seen a drop in rainfall leading to widespread droughts. For the future of Zhangye, water conservancy and prevention (if possible) of climate change will be of the utmost importance. Save your water when visiting Zhangye ! Travel tips for Zhangye City and Prefecture: the abundance of clear skies and sunny days inside the Hexi Corridor bring with them the downside of an easy chance at an overdose of solar radiation. First thing to bring along on your trip are sunglasses (shades). Some high factor sun screen oil may also be put to good use, especially in the hottest month, july. Uh-ooh, how did you say: Stop this Bus in Chinese, again ??!! Geographic & Historic Maps, Satellite Images and More Map material on Zhangye City & City Prefecture, the Silk Road and Great Wall of China nearby. National Highway 312 (Shanlin expressway or Lanzhou-Urumqi Highway) and related Regions of Gansu Province. Discovery Atlas - China revealed. 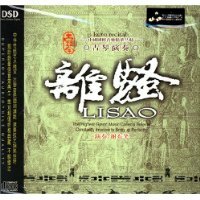 2006 Edition, full DVD disc set !! Buy it Now. The number one historic landmark in Shandan is the Great Wall of China. Zhangye City Prefecture landmarks dating from a far more recent history include first and foremost a Monument dedicated to a part of the revolutionary Red Army that perished in 1935 AD during a lesser known episode of the Long March now known as the "Ningxia Campaign". This War Cemetary is situated near Shandan village and is worthwhile place to go and have a look. Another popular place to visit near Zhangye is the famous Shandan Horse Farm, the largest Army Horse Breeding Farm in China. The Farm is not located at Zhangye City but can be found due South-West of Zhangye, and 55 kilometers south of the historical Town of Shandan, just 66 kilometers East of Zhangye along Highway No.312 (Lanzhou-Urumqi Highway). Click through to Learn all the specifics on Zhangye City & Prefecture Landmarks ! Zhangye has no less than 3 railway stations. The main railway station is Zhangye Nongchang Si Station. Another option is to travel along the main Lanzhou-Urumqi Railway to Laosimiao Shoufei Station, which lies along the No. 312 National Highway. Take a Taxi from the Station and head along the highway just a small distance to end up at the Old City Center of Zhangye. The Bus Station is known as Zhangye Nanguan Coach Bus Station. From Here one can take Buses to reach throughout the prefecture and wider Region. Among the destinations: Sunan, the Home of the Yugur Minority, which is also the place from which one can travel on by Taxi to the world famous Mati Si Buddhist Caves. Other directions, East to Shandan and West to Jiuquan and Jiayuguan. The Eastern Bus Station, which is located south down Donghuan Nanlu from the Hexi Hotel, dispatches buses in the evening to Lanzhou, 3 of which are with sleeper seats (Y90 /15 hours). Buses leave every morning to Jiayuguan (Y25 / 5 hours) from this same Station. Buses departing from the Southern Station head to Jiayuguan in the morning and Lanzhou in the early evening. From Zhangye it is also easy to travel south into Qinghai Province. Buses follow the route of Highway G 227 to travel into the Mountains and via the vicinity of Mengyuan, to Datong and on to Xining, the capital of Qinghai province. The distance to this destination is just 347km, a small distance in these far flung regions. The Buses heading to Xining leave from the Xiguan Bus Station on Paoxuanlu for Y32, twice daily. There is no airport. The nearest Airport is at Jiayuguan further West in Gansu. 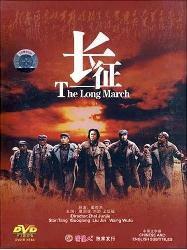 The second option is to head East to Lanzhou Tianzhu' National Airport much farther away. The Main railway station is located a small distance North-East of Town at the village of Taipincun, which is connected by a Main Road to the City Center. This leaves the Station at a distance of some 6 kilomters to the exact Center of Town, the Drum Tower. Local mini-buses shuttle travelers back and forth to town for about Y3, take a Taxi and spend around Y10 to 15 for the Ride. Zhangye is a major Station along the Lanzhou-Urumqi Railway Line. Each day there are a few trains traveling to and beyond Zhangye in both directions. As blessing for travelers the entire railroad has recently been modernized, resulting in better and faster connections. Now there is a nightly express train that leaves Lanzhou at about 10pm and arrives in Zhangye some 12 hours later. Anyone intending to travel further west to Jiayuguan can travel there in about 4 hours by train. Other local trains leave regularly for Jiayuguan to the West or Shandan, Wuwei and Lanzhou beyond in the East. A slow train to Jiayuguan will take around 9 hours, a considerable time during which one can admire the scenery or enjoy some sleep. Getting tickets at the Zhangye station can be a bit of a tricky business, especially outside of tourist season. Things are best arranged via the front desk of your local Hotel, who will be happy to help you, or via the Train Station itself. A good second option is the local CITS, China International Travel Service Office. China National Highway 312 from Lanzhou to Urumqi, also known as the Shanlin Expressway, passes Zhangye immediatly south of Town, and continues East via Shandan and Wuwei, via the Lanzhou's National Airport at Tianzhu' to Lanzhou. 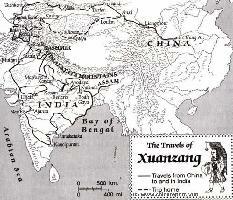 The distance to Lanzhou is about 450 Kilometers. The Highway 312 leads West from Zhangye, to JiuQuan and Jiayuguan, then on to Yumen and Anxi and into neighboring Xinjiang-Uygur Autonomous Region. It ends far away at Yining in Xinjiang-Uighur AR, near the border of The Republic of Kazakhstan. A second major traffic artery in the Region, China National Highway No. 227 (G227) runs from Zhangye (roughly) southwards into neighboring Qinghai Province and up to the Tibetan High Plateux to end at Xining the Capital of Qinghai Province. This road is 347 kilometers in length and passes along a number of mountainous regions where various minority goups make their home. Among the main ethnic capitals along this road is Mengyuan in Qinghai. In the wider vicinity of Town live the Tu, Yugur and Salar Minorities. Elevation : --- meters, or ---- feet. As for Zhangye City Prefecture of which Shandan is a county, the highest altitudes are found in southeast where the highest Top of the Qilian Mountains reaches 5,564 meters (18,254 feet). The lowest point within Zhangye Prefecture, at 1284 meters (4,212 feet), is found in the northwest. Surface Area (of County): 40,874 Square kilometers (16,177 square miles). Population: The Total Population of ShandanTown and County is: unknown. Today's Zhangye has been doing remarkable well in recent years. is Sunan Yugur Autonomous County (肃南裕固族自治县) , the main ethnic enclave of the Yugur Nationality within China. Sunan can be found due South-West of Zhangye City. Zhangye City Prefecture, which is the wider administrative District of the Province with its Capital at Zhangye, borders on Inner-Mongolia Autonomous Region in the North and North-West, and on Qinghai Province in the South and South-West. In the North the border is formed by Heli Mountain and Longshou Mountain, where as in the south the borders of the administrative district are formed by the Qilian Mountains, who in turn are the Outermost Layer of Mountains belonging to massive the Tibetan Plateaux. Qinghai Province of Today is essentially the Eastern Half of the Nation of Tibet. Hence, the multitude of Minorities in the wider Region. To the East lies Wuwei City Prefecture and to the West lie Jiuquan City and Prefecture and the much smaller Jiayuguan City and Prefecture. Zhangye (simplified Chinese: 张掖) is a silk road city located inside the Hexi Corridor which naturally shapes the borders of Western Gansu Province. Due to its elongated shape this corridor was thus also known as "The neck of China". Surrounded by flat lands with lush green and abundant water in an otherwise Mountainous Region, Zhangye is of unique scenery giving rise to the local saying: "If you didn't look at the Snow on the Qilian Mountains you would mistake it for a place along the South Bank of the Yangtze (River)". Although the majority of the Hexi Corridor is flat, forming a perfect highway corridor between otherwise near impassable mountains, the location Zhangye is an especially auspicious spot including two rivers and an aquifer spring oasis. The main river in Zhangye Prefecture is the HeiHe, the Black River. The Hei River is also known as Ejin River. The second river is the Shandan River. As summarized in short above, Zhangye City knows quite its history. In fact, it was founded over 2000 years ago, officially during the Han Dynasty, but probably long before. 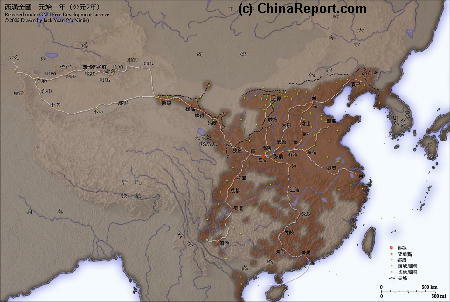 During the early Han Dynasty Zhangye was no less than the Capital City of the North-Western Regions of China, and thus it became the corner-stone and stepping-off point for the Han Dynasty Emmissaries who would help explore, found and later dominate the trading routes that would become famous in history as "The Silk Road". Products: Chinese date, apple, pear, garlic, honey, wine, cashmere, and lately potatoes. Zhangye City Prefecture counts no less than 26 ethnic groups apart from the National majority, the Han People. Among the many, the largest ethnic communities are formed by the Hui, the Tibetans, the Uygur, the Zhuang and the Yugur. 85% of all Yugurs in China, some 35.000, are living within Zhangye City Prefecture, of whom most are concentrated at Sunan Yugur Autonomous County (肃南裕固族自治县), of which the main town and administrative Capital is Hongwansi Town (红湾寺镇). Sunan County counts a surface area of some 20,456 Square Kilometers and has over 10 indigenous minority ethnic groups. The main Ethnic Groups in Sunan are Yugur, Tibetan and Han. The rare Monguor are also represented. The only other autonomously ruled ethnic enclave of the Yugur can be found at neighboring Jiuquan City, more to the West, where some 15000 Yugur live at Jiuquan Huangnibao Yugur Autonomous Township. Inside of Sunan County lies another ethnic enclave Xishui Tibetan Township. Xishui is a majority Tibetan Town, but other ethnic identities share this hometown. One of the main Tourist Hotspots and historic Monuments of Zhangye Prefecture, the Mati Si grottoes is situated in Sunan Yugur Autonomous County, located at some 62 kilometers distance from Zhangye City. The spectacular features of this tourist zone do not only include the Mati Si ancient buddhist cave arts but also the national protected scenery of prairies and forests above which the beautiful snow-covered tops of the Qilian Mountains. After admiring the scenery and spectacular cave arts, one can easily head over to Sunan and have a meeting with the Yugur People, to enjoy their colorful wares and many other cultural traits. Besides the unique nationality culture, Zhangye yearly holds its Mati Temple Tourist Festival involving lots of Buddhism and even more Yugur Culture which attract thousands of tourists from home and abroad. Read more about the Yugur, or Yugu in: "Yugur Ethnic Minority of China". Xishui Tibetan Township today has a surface area of 894 square kilometers and counts 5 ethnic groups. They are the Tibetan, Yugur, Hui, Mongol and the Han. Tibetans amount to over 90% of the township population and members of other groups all have kinship relations with them. At this remote location, the ethnic community is very close knit, and it can be said that "everyone knows eachother". With the Tibetan, Mongol and Yugur cultures historically dominated by Buddhist influences, the local culture of Xishui Township is overwhelmingly Tibetan. Historically, different ethnic groups in Zhangye intensively interact with each other. As a result, it is one of the model area's in China where the harmonious cultural landscape of multiethnic coexistence preached by the Government is achieved to a large extend. Naturally, economic strains and enlarged mobility with influx of migrants can cause stress on local regulations and political wishes. The Holy Mountain of the Xishui Township people and Sunan County is the Da Gu Shan, which carries no less than 3 pagoda's atop its Icy ridges. Long undisturbed as the guardian of the Town, Dagushan has recently seen the roar of Chinese development arrive. Xishui Tibetan Township is currently the location of the Xiaogushan Hydro-electric Power Project, a damming project of the Hei River. The proposed aim of this Project is to alleviate the increasing power shortage in Zhangye city and the Hexi Corridor. Usually, when there is not enough power, lights in the City will remain on, however the rural area's are cut off from electricity. It is hoped that with the building of the Dam enough electricity can be generated to make continued economic development of these far western regions possible, and include each rural village. Naturally, ensured supply of electricity is a base necessity for development of village economies and the fighting of rural poverty in Gansu Province. Sound Bonus: Marco Polo- "Alba in Pianura", by Rondo Venetiano. a thriving City, a center of commerce, an important administrative center and military strongpoint, and a market city for international trade. Here, at roughly halfway the length of the Hexi Corridor was where many traders from Central Asia traveled to pick up wares at the local Market, bundle them up and carry them back to the West by Caravan. As described in the main introduction to Gansu Province it was thus of strategic historic importance over the last 2000 years, the Era of the land-bound Silk Road. In the history of this famous Silk Road Zhangye city is of special significance for two reasons: first of all it was historically the first part of the Silk Road trajectory that was subjected during the early Han Dynasty Era (206 BC - 221 AD). Thus, Zhangye was the founding stone upon which later Military achievements were built. This fact is still reflected in the name of the city today, as Zhangye literally means "extending the arm". This term Zhangye in turn is an abbreviation of the statement; "to extend the arm of the country, through to the Western Realm" (张国臂掖，以通西域). Another more vicious translation coined is "Cutting away the Arms of Huns, and extending the Glory of The Empire". This is a semi-modern term and name for the town however. The original name chosen by the Han once the region and town were subjected militarily and included into the Chinese Empire was Ganzhou (甘州). Thus, the later Han Dynasty Province which was founded upon the cornerstone of Zhangye was named GANsu, which remains the name of the Province today. Furthermore, even today the City of Zhangye is known to the Provincial and National Administration as Ganzou District. For all practicalities however, most people use Zhangye to designate the Capital Town today. During the Han Dynasty Reign Zhangye became an important administrative base from which various military and diplomatic operations embarked. From here, emmissaries of the Han King embarked on their dangerous travels to the West, first to explore these regions, then to forge aliances with various tribes, in order to later and finally overpower them. This was the very process that forged the earliest Silk Road path. Zhangye of the Time was the political, economic and cultural center of the remore North-Western Province of the growing Empire. As the Han successes followed upon eachother, over time Zhangye slowly grew into a major administrative City and stop-over on the Silk Road pathway into Chang'An (Xi'An), the National Capital. 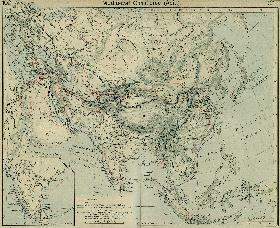 It retained this function for the full time the Silk Road was in operations, which was well into the 16Th Century. Reflecting this important function as the Capital of the North-West, many famous figures in Silk Road history passed through Town. Among these Imperial Envoy Zhang Qian - credited with the first opening of a western route, general Ban Chao-credited with defeating the Xiong-Nu (Western Mongolian) Tribes, Buddhist monks Fa Xian and Xuan Zang, the latter credited with bringing buddhist knowledge to China during the Tang Dynasty, and many others. Chinese and Non-Chinese. (Chinese: 额济纳河 Ejina-he, Mongolian: Etsin-gol, Edzin-gol), also known as the Heihe River (黑河, lit. "black river"), is a major river system that originates on the northern Gansu side of the Qilian Shan mountains. The Ejin River , also known as the Heihe River , is a major river system that originates on the northern side of the Qilian Shan mountains in Gansu Province. The river is around 800 km long two major branches: the western branch flows from Zhangye through Gaotai and well North of Jiuquan, while the eastern branch flows through Ganzhou. 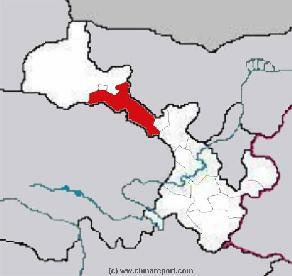 The two branches merge near Gaotai Town and flows north into the Inner Mongolia Autonomous Region, where the river terminates in the Ejin Basin in the Gobi Desert just South of the border with the Republic of Mongolia. 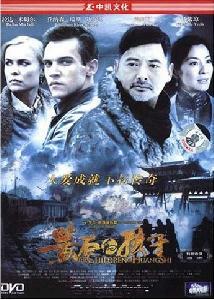 To Find out More, read: "Heihe, Hei or Ejin River, Black River". Schematic Map of the location of Zhangye City Prefecture within Gansu Province and Area. 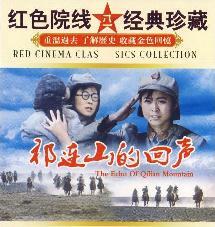 "The Echo of Qilian Mountain"